As a youth, Juliana MacDowell sang alone in the dark, dreaming there was an audience on the other side of her bedroom window and hoping that her family members wouldn’t hear her and make fun. On Saturday, Feb. 9, she’ll be taking the stage at the Barns of Rose Hill backed by a top-notch band of players and unveiling some of her newest songs, just recorded in a storied Nashville studio for her third album. This is just the latest milestone for the singer-songwriter who has made Loudoun County her home for the past three decades. It is that community that nudged and nurtured her musical journey. 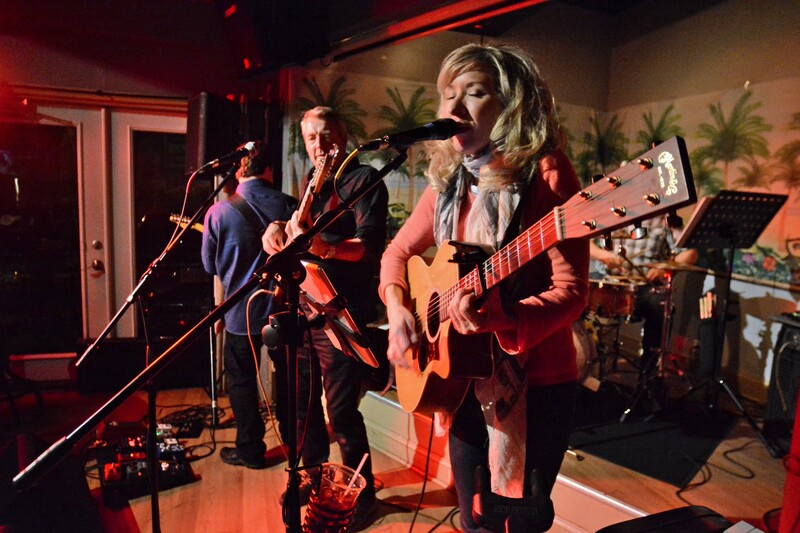 Soon she was a regular on the county’s bourgeoning winery circuit, performing with Bauer in the band Joey and the Waitress. “I got started by accident,” she recalled. After a few years, fans, venue owners and even fellow band members were encouraging her to stretch out on her own. Her first CD, 2015’s “Take Me Away,” was recorded in DC with Marco Delmar. 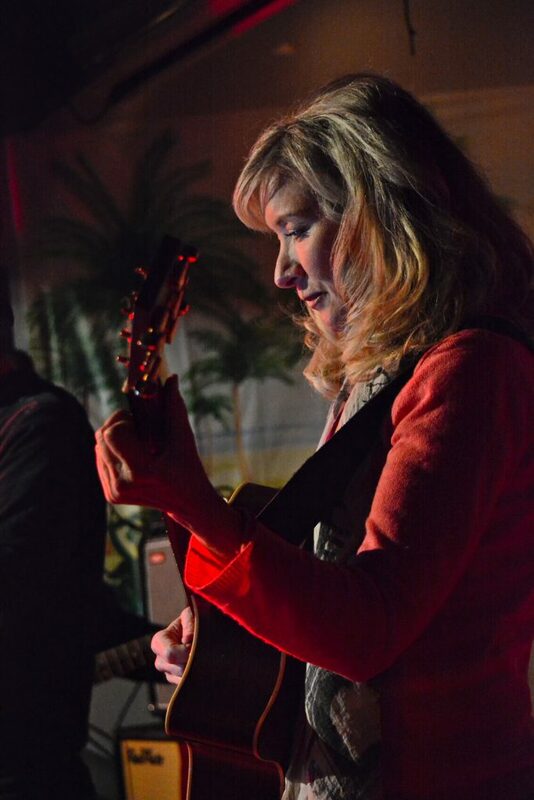 While building a strong fan following in Loudoun, MacDowell also became a familiar voice in the Key West music scene, where her community connections led to hear second CD, “Leaving Home,” created with British producer Ian Shaw, who records from his houseboat docked on the edge of Old Town. That recording was unveiled in April during a dual CD release concert with Bill Blue, a Virginia native who is an elder statesmen of Key West’s music scene. That got her noticed, too. Her introduction to Nashville came from another community connection. Two years ago, Leonard “Hobie” Mitchel, the developer behind Lansdowne on the Potomac, Crescent Place and Crescent Park, heard MacDowell sing. Mitchel sent some of MacDowell’s recordings to his friend Bill Vorndick—the producer behind works by Alison Krauss, Bela Fleck, Sam Bush, Ralph Stanley and many others. Vorndick called MacDowell the next day, asking her to set up a show so he could hear her sing live. Last fall, she was in Ocean Way studio on Nashville’s music row laying down tracks. Working with top session veterans, they knocked out six songs in seven hours. “You’re looking at the platinum albums on the wall. Your heroes have been sitting in the same seat that you’re sitting in, the same vocal booth, and you’re singing into the same microphone,” she said. She’ll be heading back to Nashville in a few weeks to complete the final vocals and record some new songs. Most of the new songs are pieces she’s written, but she’ll be tapping into Music City’s songwriting talents as well. “Bill’s idea is that it’s all about the song—it doesn’t matter who wrote it as long as you connect with the song,” she said. During the Rose Hill show, MacDowell expects to play four of the new songs. “Clearly, I always wanted to be on the stage, but I just didn’t have the courage,” she said, recalling the often-debilitating anxiety that left her homebound. Today, her stage keeps getting bigger. She doesn’t have expectations of stardom, but believes her music can make a difference for others. She and her band are among those in Loudoun most likely to say yes when asked to play a charity fundraiser or support a community cause. “a combination of luck, hard work, diligence and staying at it,” she also acknowledges the growth of Loudoun’s music scene. “This community of musicians is very special,” MacDowell said. That didn’t exist when she first visited the town in 1989. Then, there was only a small handful of venues offering stages for live music; the county’s largest music venue, the Tally Ho Theater, was still a movie house and the Franklin Park Arts Center was still a dream of art advocates. MacDowell’s Nashville has been impactful. She talks of listening to the first playback of the first song they recorded at Ocean Way.